Don’t get me wrong — I love loud amps as much as the next guy. I’ve got two tube heads at home that clip at about 120W each and more cabs than my back can handle carrying, but even I can admit that sometimes less is more. 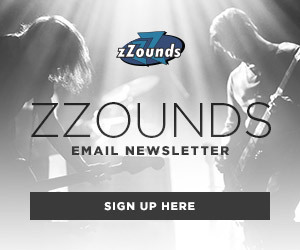 While you may be head-over-heels with the tone of your cranked Marshall Plexi, getting it turned up to the point of breaking up into British overdrive bliss can be a challenge (and a great way to piss off your friendly neighborhood soundguy and/or neighbors). This is the most sure-fire way of reducing your tube amp’s volume to silence — because it skips the speakers. There’s probably only a few situations where you’d want or need to use a load box. 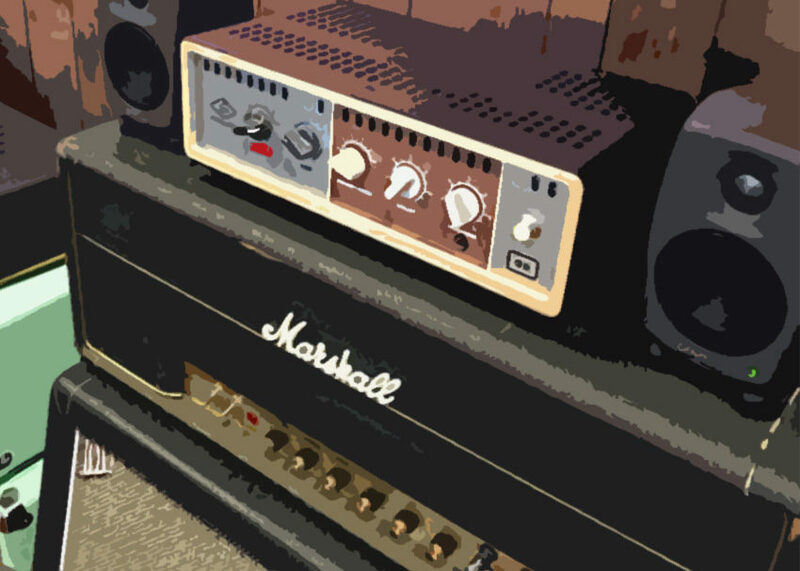 Maybe you’re up late at night and want to practice with headphones, but still hear the roar of your dimed tube head, or you’re in a recording situation where using a cab just isn’t feasible. 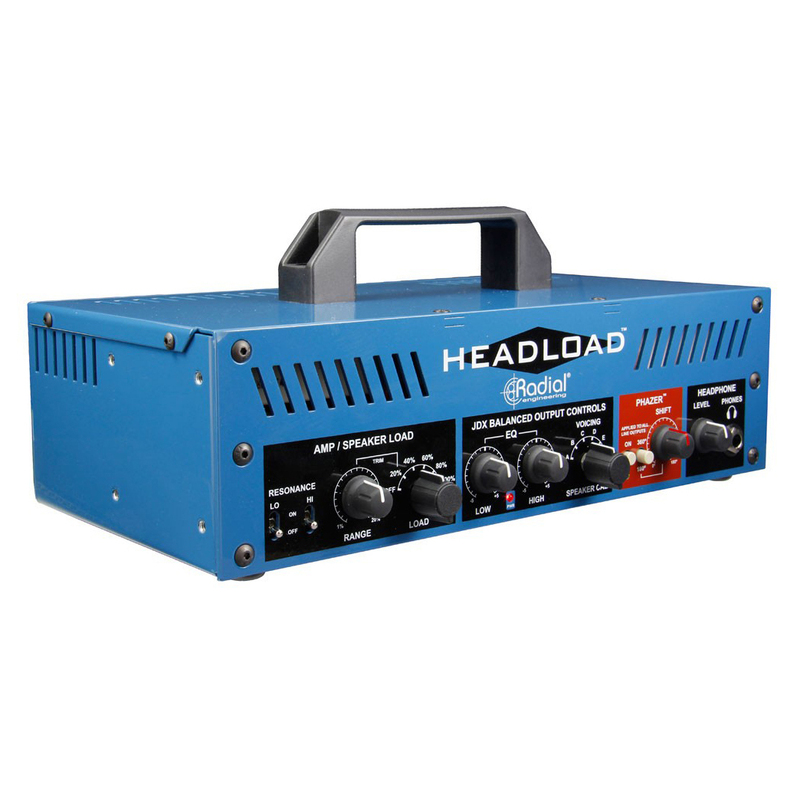 A load box essentially takes the place of a speaker cabinet by safely placing an ohm load on your tube head, allowing you to operate the head without a cab. Essentially the most basic form of an attenuator, load boxes lower your amp’s output to line level, allowing you to take that line out into a recording interface or headphone output. Load boxes can also be useful in re-amping situations, essentially allowing you to crank your amp to its sweet spot, lower it to line level, then send the signal to another power amp where you’ll have complete control over your tone and volume. An attenuator is basically a more sophisticated version of a load box. Attenuators absorb some of your amp’s output, but pass the rest to your cab, passively reducing your amp’s overall volume. Attenuators are a great solution for live situations since you can really dial in the amount of volume you want out of your amp, while still allowing it to be cranked to its sweet spot. 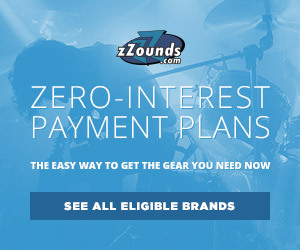 There are a variety of attenuators on the market, some are reactive, meaning they respond similarly to a speaker cabinet with natural impedance curves, and some are resistive, meaning they eliminate the impedance curve that normally exists when playing naturally through a speaker cabinet. Some attenuators also employ standard load box features like a line level output for re-amping, recording with an interface, or silent headphone practicing. This option won’t have as profound an effect as using a load box or attenuator, but can be a much more natural-sounding way to simply reduce the decibel level of your rig. Speaker efficiency is measured in decibels. 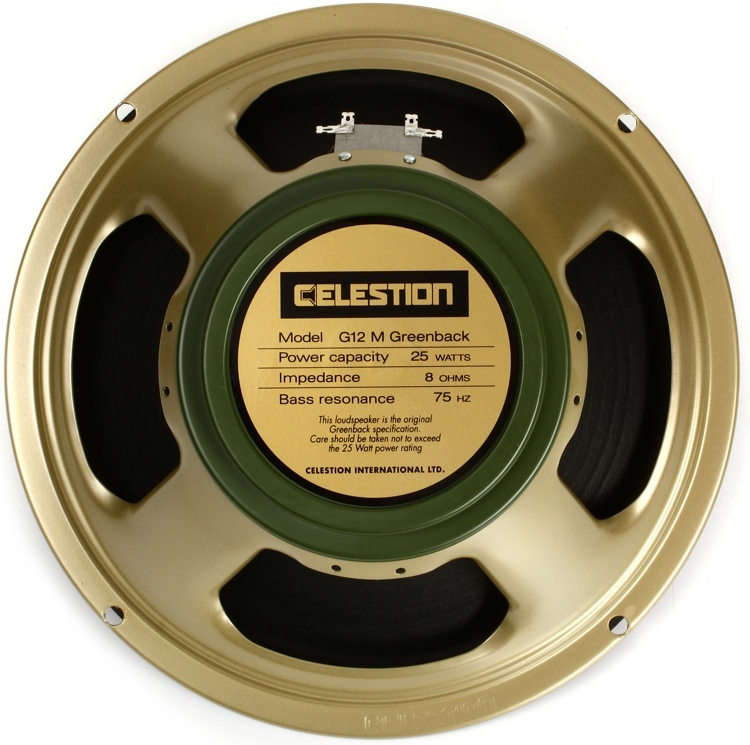 A highly efficient speaker like an Eminence Wizard, rated at 103dB, is much louder than say, a Celestion Greenback, which is rated at 97dB. It takes a doubling of wattage to gain a 3dB increase in volume, meaning the wattage of the Greenback would have to be doubled, and then doubled again to be as loud as the Wizard. Knowing this, it’s easy to work backward in efficiency, choosing speakers that will naturally attenuate your amp and lower your overall volume, rather than highly efficient speakers that will increase your headroom. 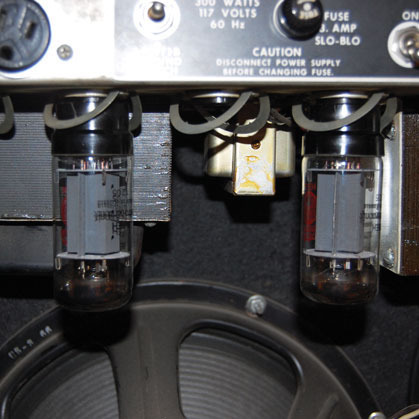 Another pretty simple way to reign-in the power of your tube amp is to remove some of your amp’s output tubes. This option can only be used in an amp with four or more output tubes. 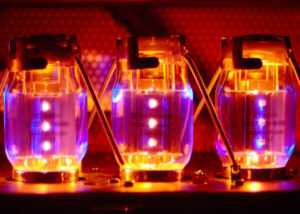 Never remove one output tube from a two-output tube amplifier. Now that that’s settled, most common higher-wattage tube heads feature a quartet of output tubes that operate on a push-pull output stage. Basically this means that each half of the output stage amplifies its respective half of the audio signal. With this in mind, if you remove two output tubes from the same side of the output stage, you’re going to cut out half of the signal, resulting in some seriously distorted sound and possible damage to your amp. When removing output tubes you can do the following: Remove the two outside tubes, remove the two inside tubes, remove the first and third tubes, or remove the second and fourth tubes. 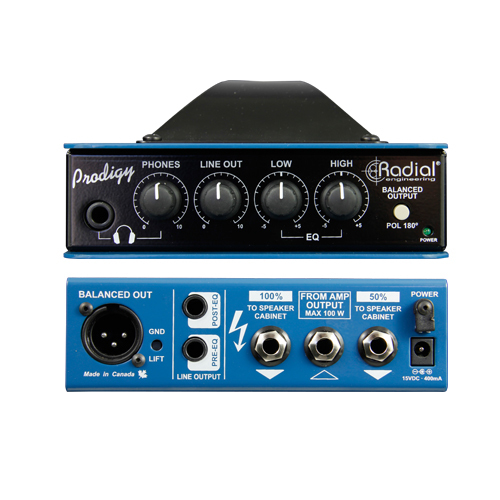 This keeps both sides of the output stage in tact and effectively lowers the power of the amp. Once you’ve removed two of the output tubes, you’ll also need to remember to reduce your standard speaker load by half. I.E. if you previously ran at 16 ohms, you’ll want to run at 8ohms, etc.